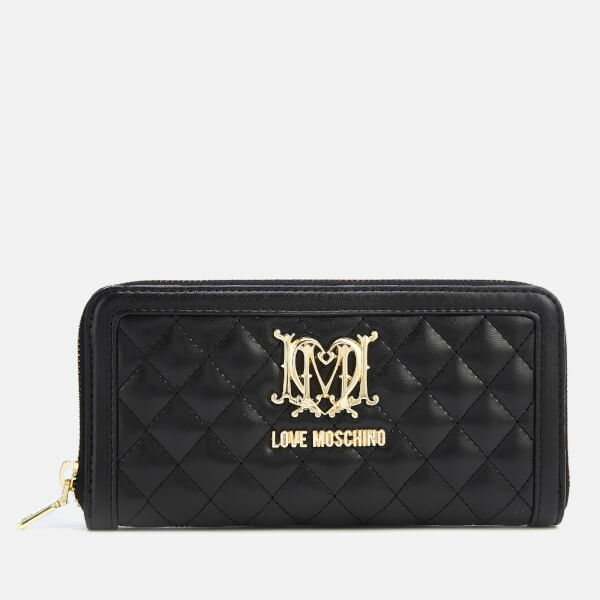 Faux leather Love Moschino purse made from quilted PU. 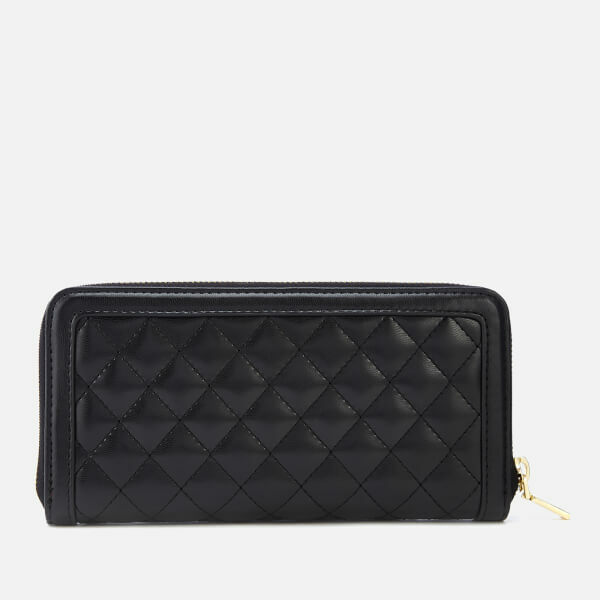 With a sleek, diamond-quilted design, the large purse features a gold zip-around fastening that opens to reveal a contrast red interior with two open compartments, 12 card slots and two slip pockets for notes. 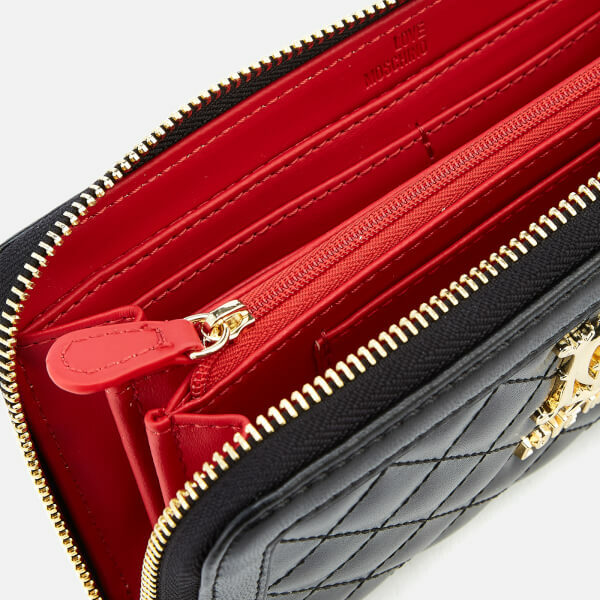 A zip pocket for coins creates a central divide. Finished with gold tone hardware branding to the front. 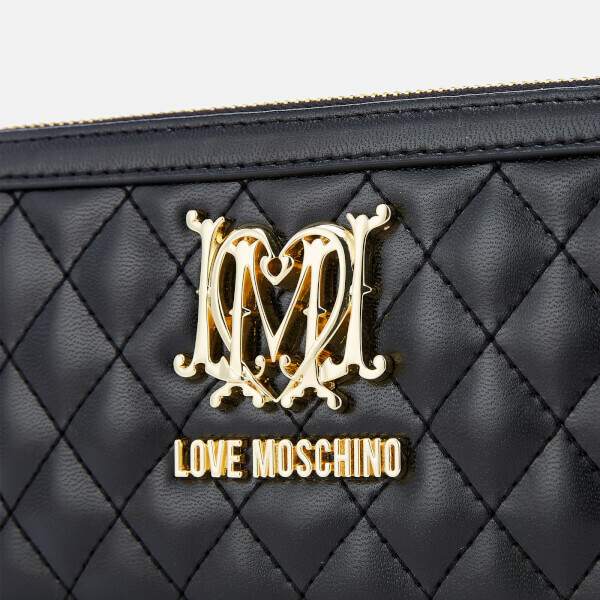 Arrives in a branded gift box.